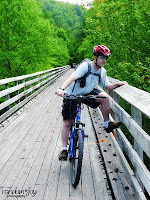 So the question has been posed, by the Outdoor Blogger Network, why do we blog about our outdoor activities? I suppose it really all started back a few years ago when Robin and I both had our own personal blogs just to have a record of our lives, you know more or less like a journal. It was something that we could both look back on and see where we had been and how far we had come. It was also a way for us to let our friends and families know what was going on in our lives. After a couple of years of doing that, it fell by the wayside, sorta like the 80's did. However, it wasn't long after I left my then employer and took the next step in my IT career with a new company and a new blogging bug hit us. I was in school at that time and shortly after I finished my studies I decided to start a side business in web development. After all that's what my degree was in and with my new employer, what started out as mostly web development turned into more application support. In starting our own web business I was turned on by Google AdSense and thought, "I could make a little extra money from our own website." After a few months of being reminded that it was a stupid idea by wifey and how we shouldn't be advertising web stuff to potential clients for our competitors, I realized how great of a head for business she has, and took the ads off the site. Still I wasn't completely satisfied and wanted something else to put ads on to see what we could do to make an extra buck. It's funny what money, or the false perception of making it, will do to a person. 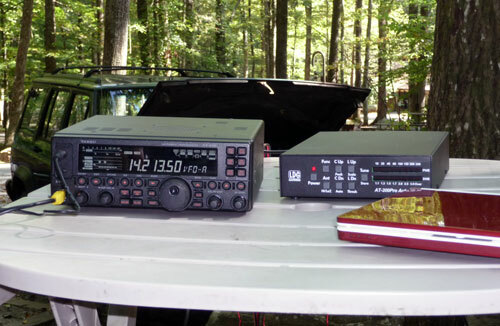 Anyway, it wasn't long that we both started our own Ham Radio blogs (they still exist - Robin's and mine) since I had become an Amateur Radio operator and Robin had returned to the hobby after a long teenage layoff, followed by acquiring a family layoff. With the Ham Radio blog, I loaded mine up with Google ads, Infolinks, an Amazon.com Ham Radio Store, and more. Of course I also loved sharing my experiences in my new hobby and really loved the interaction we had with other radio operators out there. 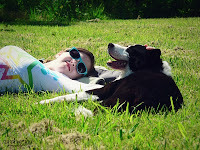 Around the same time, I decided we needed more and started a blog for our outdoor activities. I figured that we loved to hike and camp, why not blog about that as well. Besides, having a niche in the blogosphere is something I figured would help towards the whole "make money blogging thing." The outdoor blog at that time was called Robin and Tim's Grand Adventures. We didn't update it like we do Appalachia & Beyond. Of course at that time we had so much going on and it was mainly just a hiking trip report thing that I did when I felt like it. As a matter of fact if you look in the archives of this blog you will see how often we posted. Oh I guess I didn't tell you, but when we started Appalachia & Beyond, all we did was change the name of the blog. We didn't want to lose the current content as it had some good information on previous hikes and camping trips we had been on as well as some scenic drives and other outdoorsy trips. It was during last year that we became re-invigorated with outdoor blogging, and re-branded the blog. Robin, as you can tell, also decided she would help out with it as well since it would give her an outlet for creativity. Since then, the blogging wasn't about money anymore. Of course if we do make a little here and there we wouldn't complain and it surely couldn't hurt any. 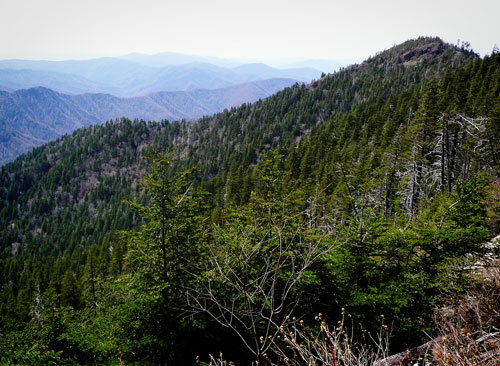 Instead of focusing on trying to make money in the blogging world, because frankly I already have a real world job, sharing our experiences of East Tennessee with the rest of our outdoor counterparts became payment enough. Since then, we've really started to get a sense of community. There's so much interaction with other like-minded lovers of the outdoors than we ever could have imagined, and it's so fulfilling for the both of us. Now, we blog because we love to, and because we want to share Southern Appalachia with everyone. And the process is fun! There's been times when we needed outdoor information, but was never really able to get the information we were really looking for. So, we decided that we would go and share the experiences we have and the info we gather. We figured we probably weren't the only ones who felt like this and decided that blogging would at least provide more than what is currently out there about some of the places we've been to or things we've tried. Honestly we love to blog about our area, the trails that we go on, the camping trips we take, the gear we use, and especially those cool festivals and little nooks we find ourselves in on the weekends. We've got curious minds and restless souls that long to be outside, and in sharing that we hope that others will come to know and appreciate the same experiences themselves. Plus, we have a great research team! Has blogging changed us? Of course it has! There's not a day that goes by that doesn't have us thinking "What's up next?". Everything we do outside has us thinking about writing up a post. Used to, we would get into things if we had the time, which was usually never. Now, we have more motivation to do something together, to get off the couch, to take the camera into the store, to conquer our fears. Blogging has actually made our lives better. We'll be honest, it does make us a little tense at times. If a day goes by during the week without a post, Robin and I start getting frazzled to come up with something. But it also starts conversations between the two of us, and keeps us thinking and feeling alive. I may ask her if she's got the pictures ready, and she may have to light a fire under me to get my share written. I may have to beg her to edit my terrible grammar, and she may have to beg me to help her remember names. Is it something that we regret? Absolutely not. Well, Ashby might regret the whole "outdoor toilet" thing. But through our blogging, we've discovered so many things about ourselves, and so many other outdoor blogs that give us that taste of other parts of the country that we would love to someday experience firsthand. We've established some wonderful relationships, albeit online, with other bloggers who enjoy the outdoors as much as we do and we find a pleasing satisfaction in that. Who knows, maybe one day, we will be able to meet up with these bloggers and share a summit or a trail together. Wouldn't that be wonderful? All in all, we really enjoy blogging about our outdoor lives and we are really glad that others enjoy what we are blogging about. It's the simple fact that people have taken the time to read about our lives and experiences, and share their lives and experiences with us, that keep us blogging.